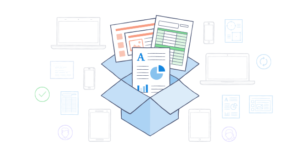 We want to keep you informed with the latest technology tips, so we’re sharing the information we’ve found most helpful this month about Dropbox, printing, and Office 365. Dropbox creates a folder on your computer by default, and any data you want synchronized with the cloud has to be placed inside that Dropbox folder. Alternatively, you can create a “hard link” to another folder of your choice. To do this, create a new folder under the Dropbox folder, and then create the hard link via command line to the desired folder. Please contact us if you need assistance with this. Mac OS X does a great job of printer auto-discovery using the Bonjour protocol. This allows you to find, automatically download and install the drivers needed to print. Windows does not do this as well and often relies on manufacturer-specific software. Setting up the printer in this way can cause slowness when printing because the software is trying to discover it each time it prints. The solution to this is to set both the printer and computer printing port manually. Please contact us if you need assistance with this. If you have trouble getting Office 2016 to auto-configure through the auto-discover record, there is a tool called Office 365 Analyzer that you can download to assist. Are you concerned about network security? Ask us about OpenDNS Security Umbrella, a cloud-delivered network security service that protects any device, no matter where it’s located. Call us today at 970.373.5428 to start a free 14-day trial of Security Umbrella. If you have any questions about Dropbox, printing, Office 365, or anything else related to your technology, please don’t hesitate to reach out to us for help. Give us a call at 970.373.5428.